the quality of the cuisine, which is prepared to the highest standards under the guidance of our executive chef. 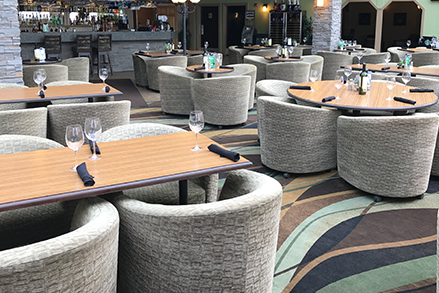 Whether you’re grabbing drinks, treating your family to dinner, or simply eating a quick meal, the friendly service and pleasant atmosphere of our lounge and restaurant offers a refreshing alternative to your average hotel diner. 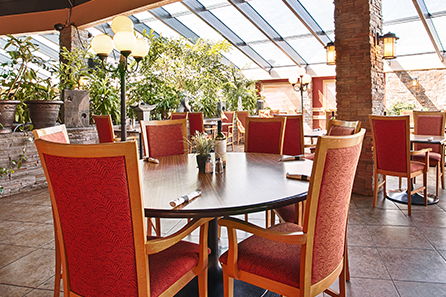 Serving inspired cuisine prepared with only the freshest ingredients, the Mirage TasteHouse has earned a place among the finest dining establishments in High Level, Alberta. From creative tapas plates to exceptional BC micro-winery wines, to distinctive dishes like farm raised bison, and Kobe beef burgers and a variety of specialty in-house smoked meats, the Mirage TasteHouse offers a dining experience like nowhere else. Savour a cocktail or specialty coffee in deep cushioned seats amid the water fountains, lush plant life and soft music of the Mirage Ultra Lounge. And be sure to end your evening with one of our decadent desserts all made fresh in-house.